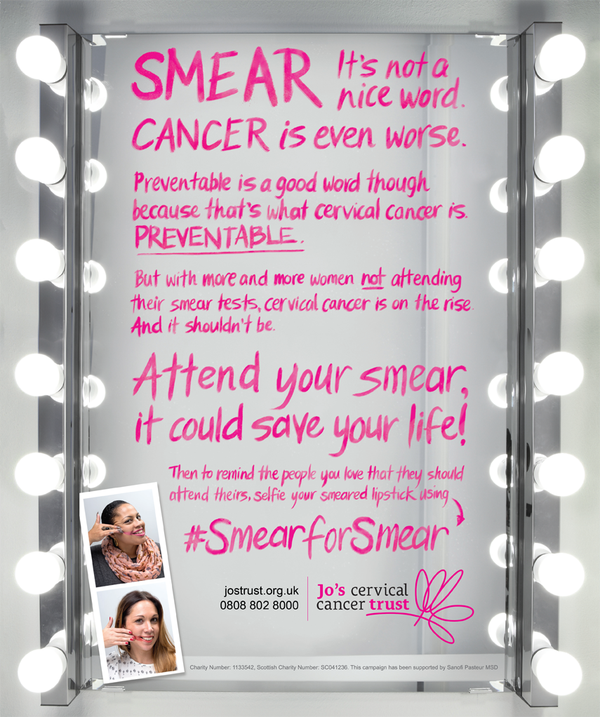 In aid of Cervical Cancer Prevention Week (25-31 Jan), Jo’s Trust is aiming to raise awareness of smear tests with a new social media campaign, #SmearForSmear. I know I'm a little late to this as it's not the 2nd February but I'd still like to think that my post is appreciated no matter when it's done. Working in a doctor's surgery for the past 5 years means that I'm not shy when it comes to illness, whether it's Cancer or just the common cold, I've pretty much seen it all. I've never lost anybody to Cancer so I'm in no way experienced in that way but part of my job is to help people with this disease and promote all the different ways they can spot cancer themselves at home and even how to prevent it. Now I'm 25 this year which means that a few days after my birthday, I'm expecting a letter to come through my door asking me to book in for my first ever smear test! Most people cringe and say how horrible the experience is but to be honest, I'm not scared and I'm even looking forward to it. If one little procedure could tell me whether I'm clear or not, I don't understand how people can afford not to. 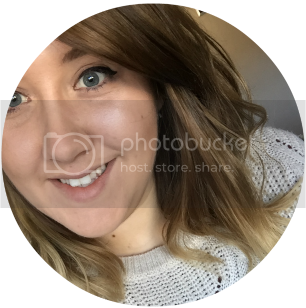 You can check out more information on the Jo's Trust website here. 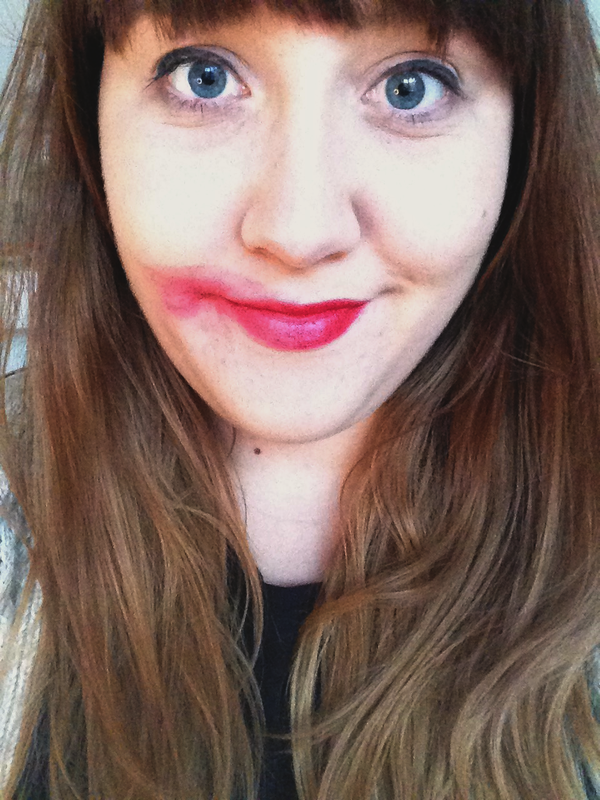 Have you smeared for smears yet?